The OX8™ is an eight channel passive mic splitter designed to send the outputs of multiple microphones to three destinations at once, with transformer isolation and ground lifts to eliminate hum and buzz from ground loops. 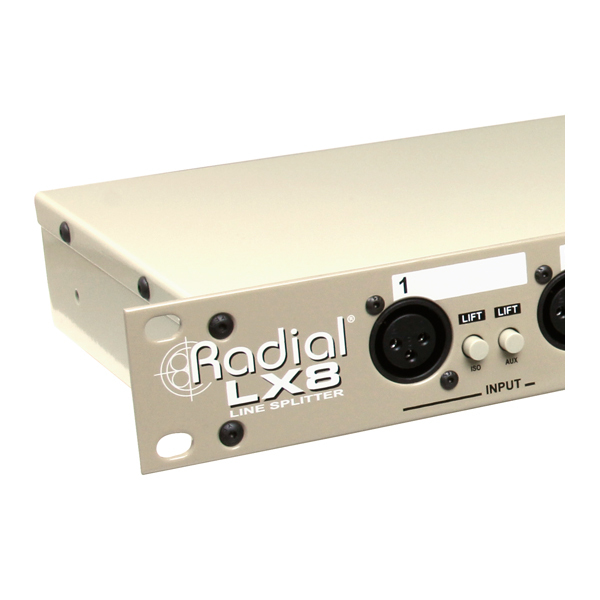 The Radial OX8 is a professional audio tool that is equally at home on a live stage as it is in a broadcast studio, splitting eight microphone signals to multiple destinations simultaneously without noise or distortion, and eliminating hum and buzz from ground loops. 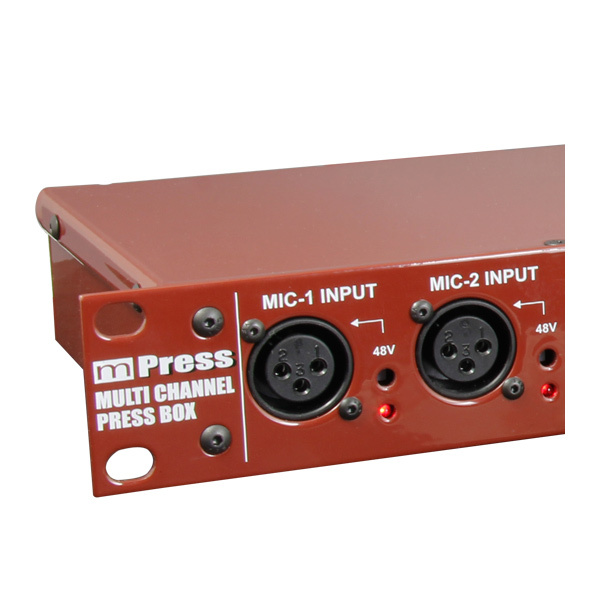 Each channel is configured with a balanced input, a direct out which also serves as a return path for 48V phantom power, a thru-put with a ground lift switch, and a fully transformer-isolated output. 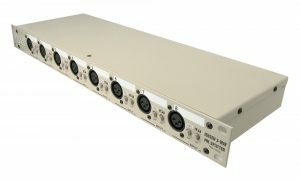 The OX8 may be ordered with premium Jensen JT-MB-CPC transformers or Eclipse ET-MS10 transformers as an affordable alternative. 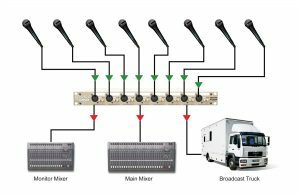 Each channel also benefits from an ultra-short signal path and built in RF filters to ensure absolute quiet performance even in the most noise-prone environments. 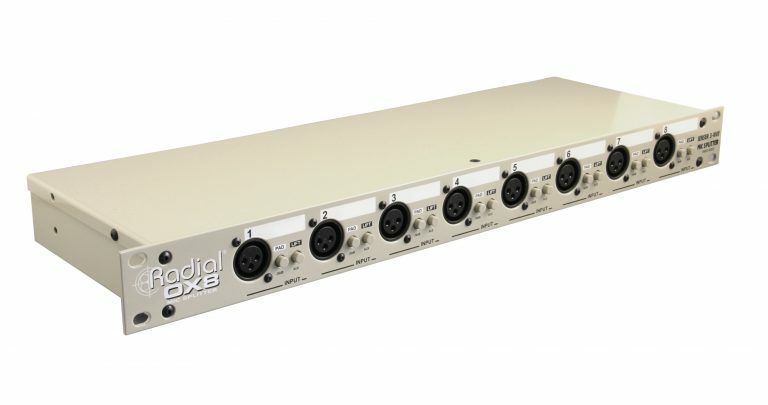 The OX8 is ideal for recording a live show. 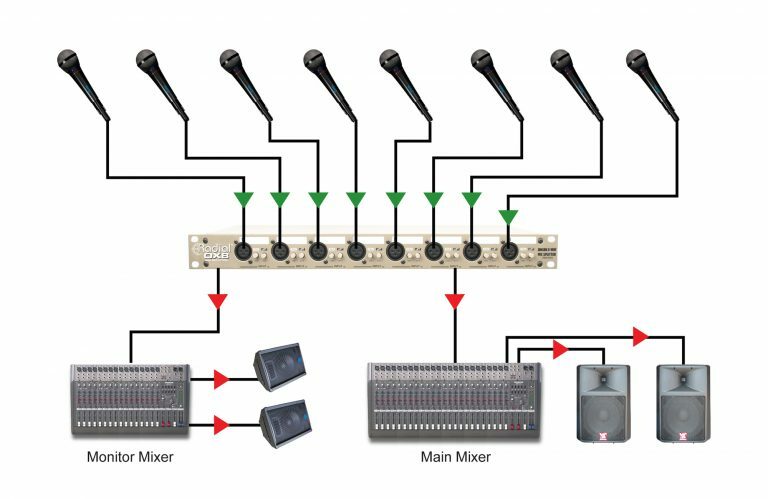 Simply connect the stage mics to the OX8 and split the signal from the OX8 to the recorder and the PA system. 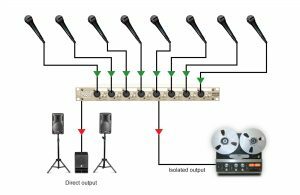 The transformers will isolate the recording system to eliminate hum and buzz caused by ground loops. 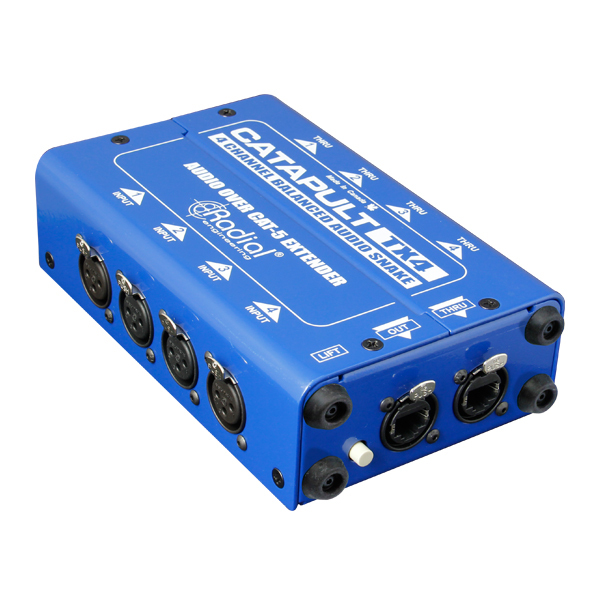 There is nothing more bothersome than hum and buzz coming at you through the stage monitors. 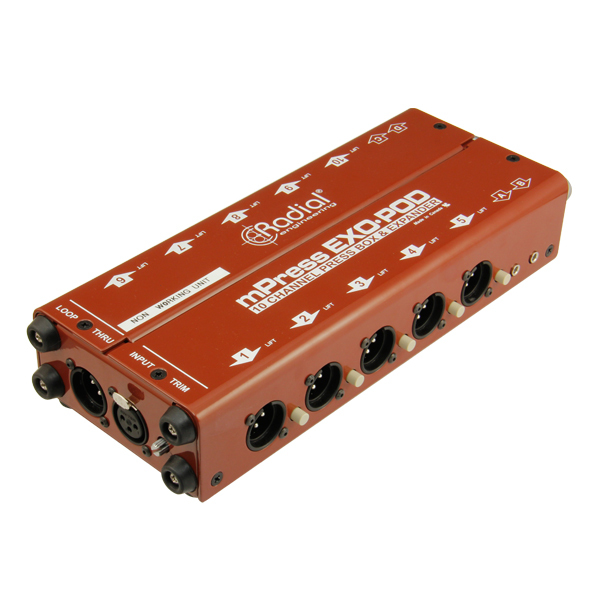 The OX8 is easily configured to isolate the FOH and monitor consoles to ensure noise-free performance. 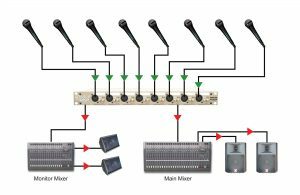 Gang up as many as you need for 16 or more channels. 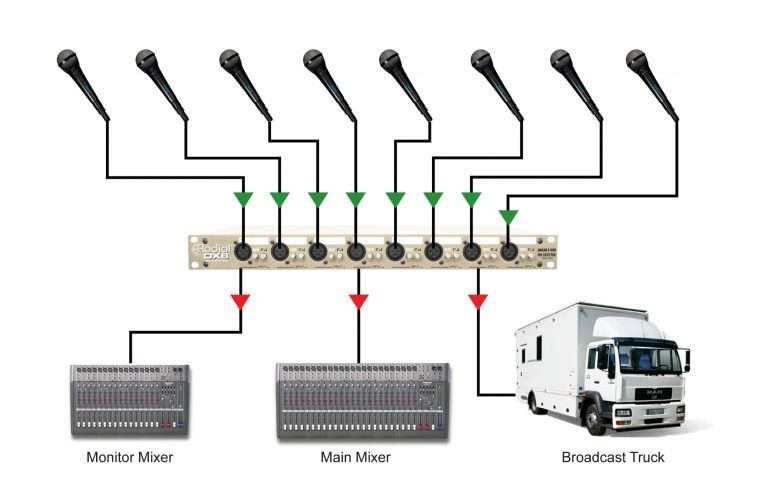 Go all the way by using the auxiliary out to feed the monitors and the isolated out to feed a broadcast truck. 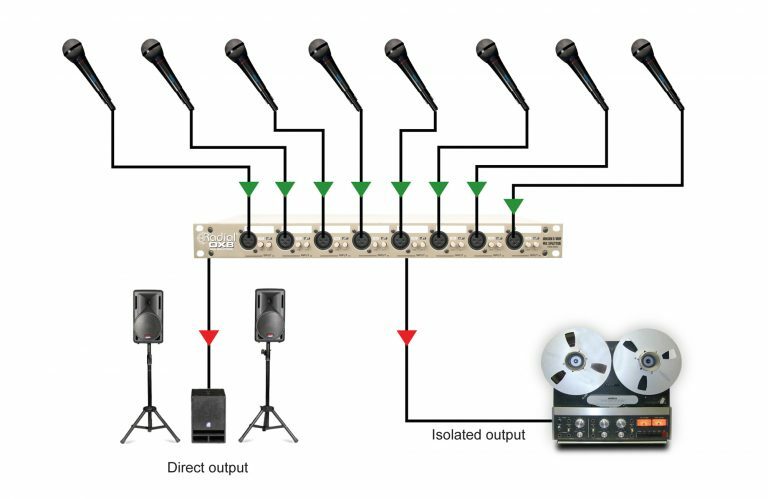 The OX8s amazing sound quality will deliver a distortion free feed to the broadcaster while enabling the PA system to work independently.